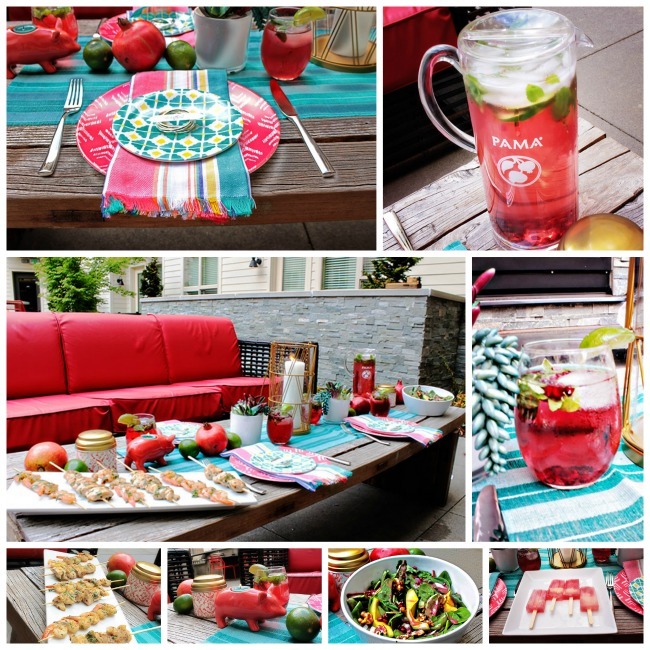 Bold And Colorful Summer Party With PAMA! 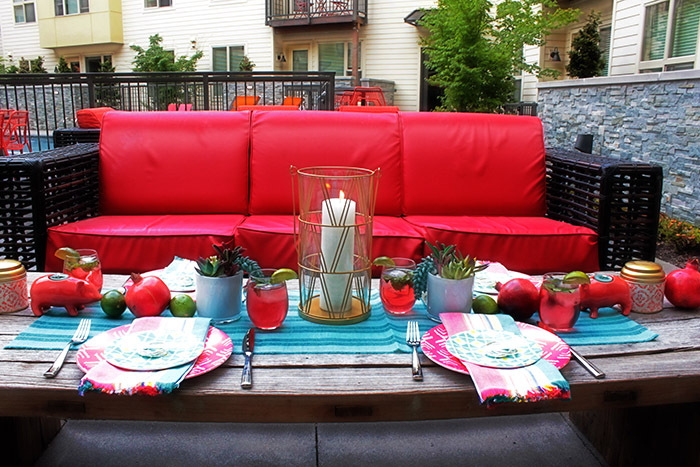 Lovelies, We are right in the heart of summer and we can’t think of a better way to spend a summer night then poolside with friends at a dinner party, so we threw one! 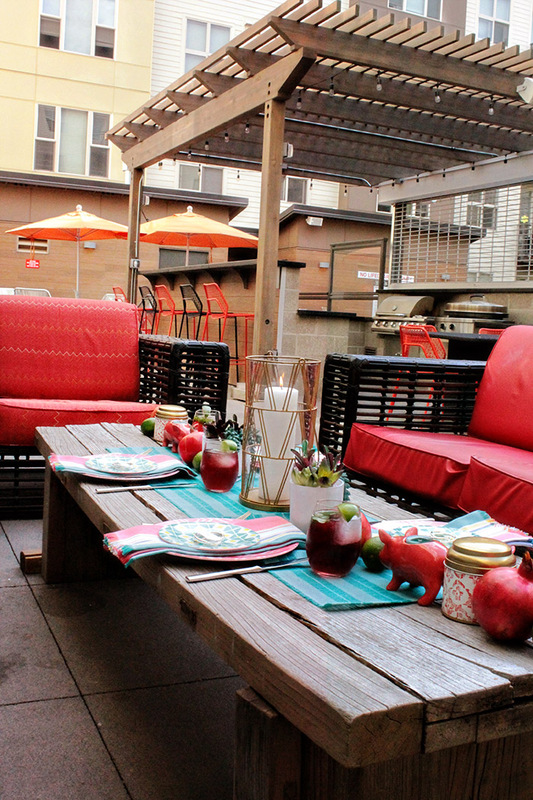 Our ideal summer party is filled with bright colors, flavorful food and delicious drinks. 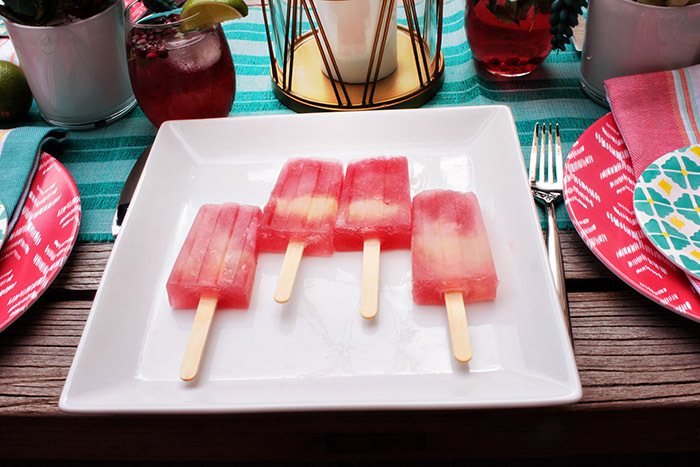 That’s why we teamed up with PAMA because they are a perfect compliment to summer with its refreshing sweet yet tart taste and you can use their seriously lovely Pomegranate Liqueur in so many delectable recipes. 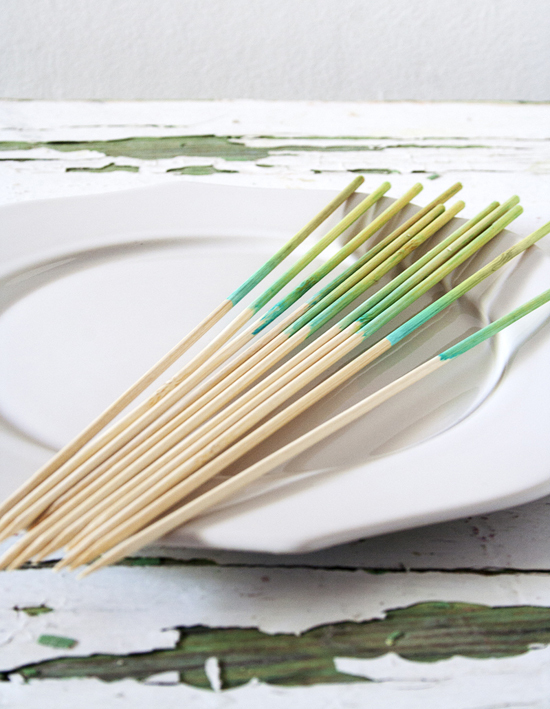 We used it in our salad as a vinaigrette, as a marinade on our shrimp and chicken skewers, and even as an ingredient in our PAMA sunrise poptails! Our absolute favorite summer drink is a mojito and we are in LOVE with PAMA’s take on this drink with a PAMAjito so we included those too. 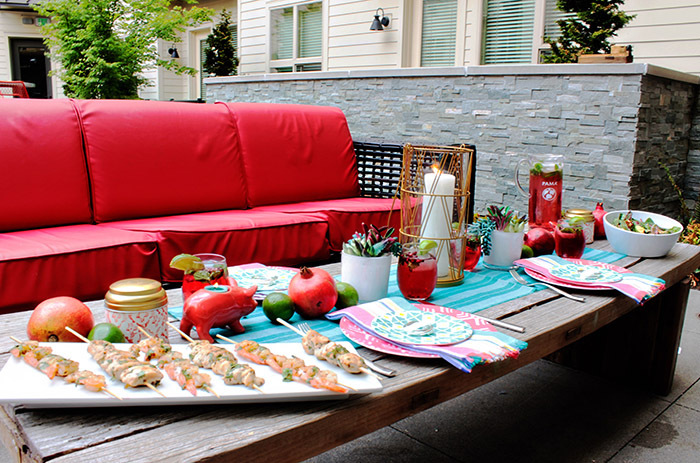 We can’t wait to show you the eye candy of this bright and colorful poolside summer party! Stay tuned for recipes tomorrow!! 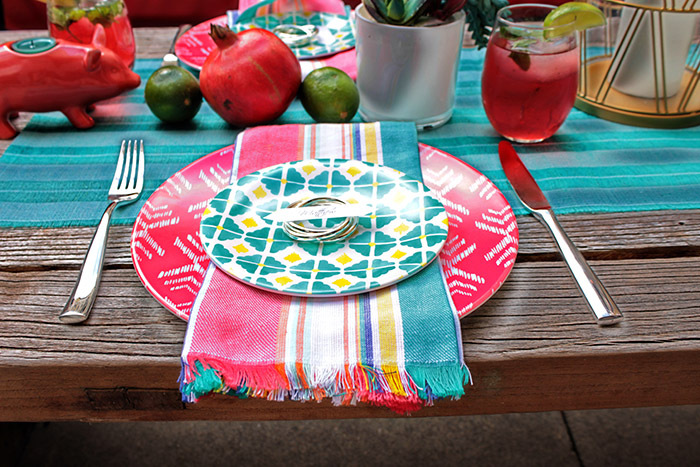 We were inspired by PAMA’s vibrant ruby color and used it as inspiration in our summer party mixing it with bold patterns and bright hues of turquoise, and lime green. 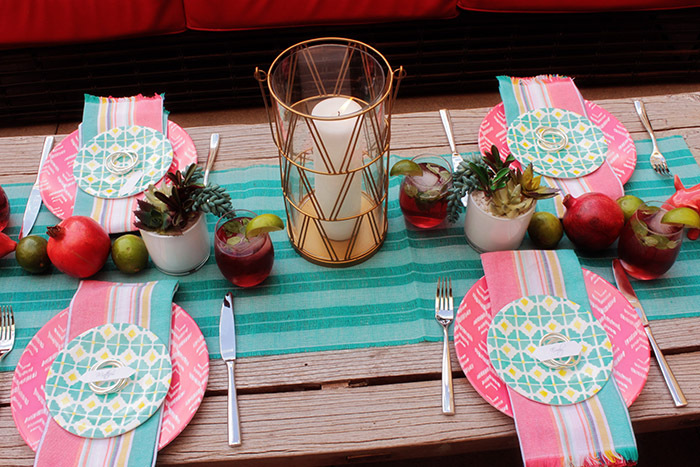 Just check out how lovely it all came together in this place setting! 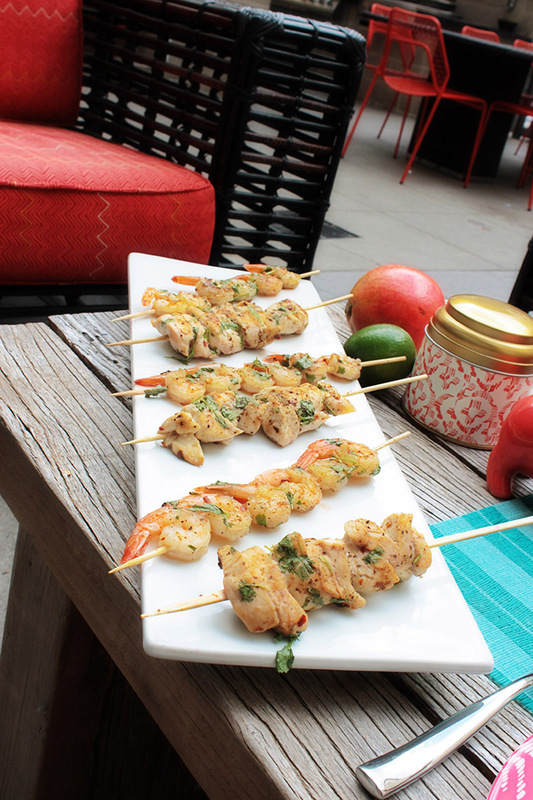 These grilled PAMA, lime and cilantro shrimp and chicken skewers were the perfect bite at this relaxing summer party! 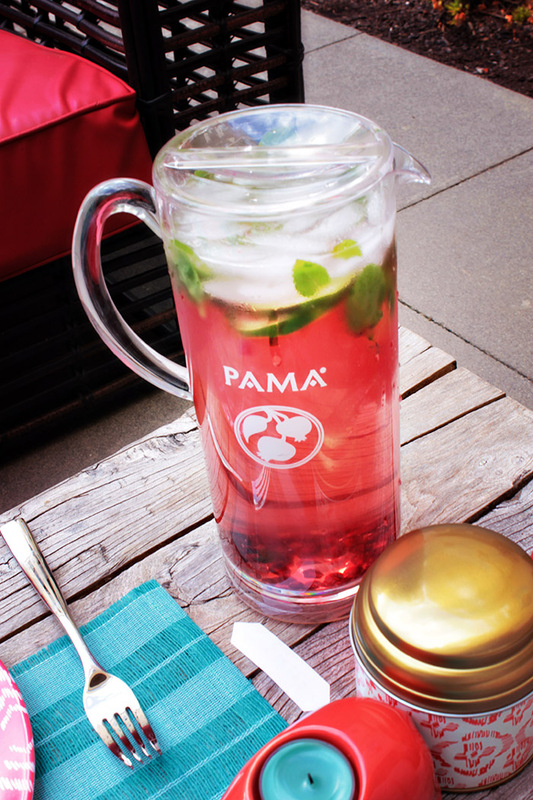 We added pomegranate seeds, fresh mint and lime to enhance the flavor of PAMA’s already amazing PAMAjito! 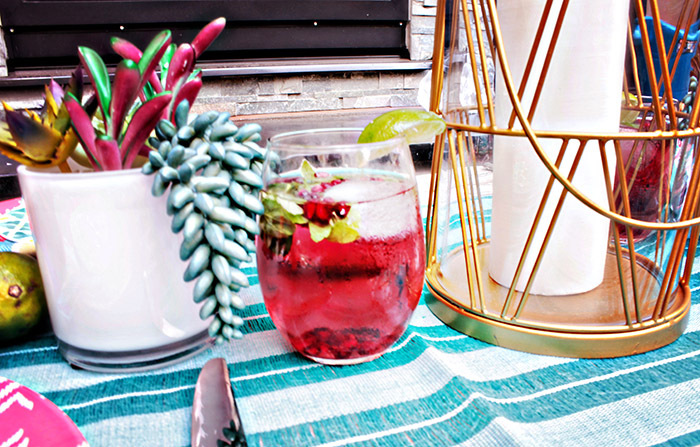 Summer means fresh fruits, succulents and of course bright colors so we made sure all of those had a spot on our table along with a little gold to spice things up! 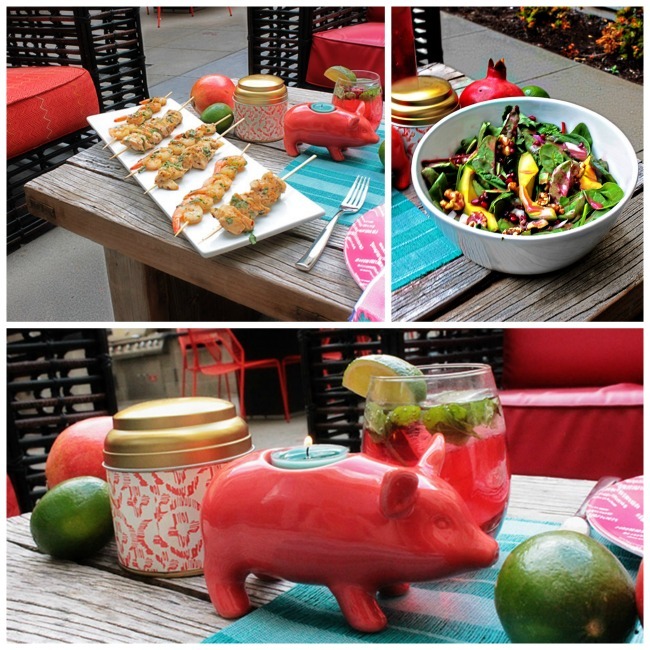 Including cute details like this little piggy votive is a fabulous coral ruby color makes your summer party really pop!